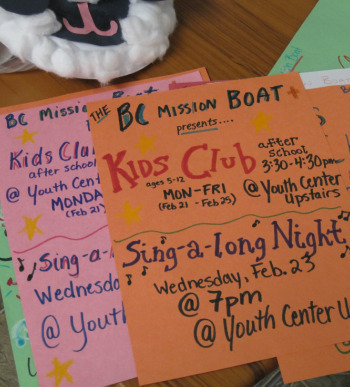 BC Mission Boat Society / Join A Mission / Are You Ready? We believe that personal preparation is one of the greatest things that you can do to get ready for your mission trip. Below we have listed a few ways that we would ask you to prepare yourself, prior to your mission trip. Start praying now for your excitements, travel, fears and the people that you will be in ministry with. We also recommend you to find 5 people to pray for you while you prepare, during your mission trip, and post trip. This maybe your pastor, family, close friends, or teammate. We cannot stress enough the importance of being in the bible daily. In your preparations, please seek to find time daily to be absorbed and embraced by God's word. We understand that many of you are busy and the task of reading a lot of material can be daunting. We work to respect that by trying not to waste your time with extra materials and fluff. We would ask that you would respect us and your mission trip by reading all materials in response. We ask that you talk with your pastor, family, friends or others that have been on a mission trip or especially a BC Mission Boat Society trip. We find that these individuals often are able to add some neat insight and reflection from past experiences. These people often times make great prayer partners. This is the way in which you carry yourself, act, or present yourself. Take a moment to see if there are any areas that you need to pray about and change. We understand that this maybe a challenging area to process and work on. This is a very important area on your mission trip as the majority of all communication is not verbal. Please become familiar with your actions now and allow room for others to help you in this area.